With its distinctive, sharp flavor, Manchego Cheese is the most popular sheep's milk cheese in Spain. As its name suggests, Manchego hails from La Mancha, the stomping ground of Cervantes' Don Quixote. Manchego is often savored alone or on a slice of bread. In this dish, the Manchego is grated and enhances the tenderness of the paella's shrimp and chicken. Parmesan can be used as an alternative to Manchego. 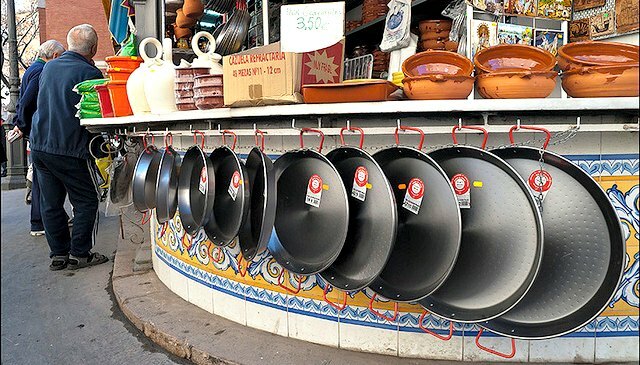 Heat the oil in a paella pan over medium heat. Cook the chicken until browned on all sides. Remove the chicken from the pan and transfer to a dish. Add the onion and garlic to the paella pan, and cook for 2 minutes. Add the rice, broccoli, both saffron, shrimp, and cooked chicken. Reduce the heat to medium, cover, and cook for a further 20 minutes. Mix in the asparagus tips and salt and pepper to taste. Cook for a further 5 minutes or until the chicken and rice are tender and the broth has been absorbed. Remove the pan from the heat, sprinkle with the Manchego cheese, and serve. 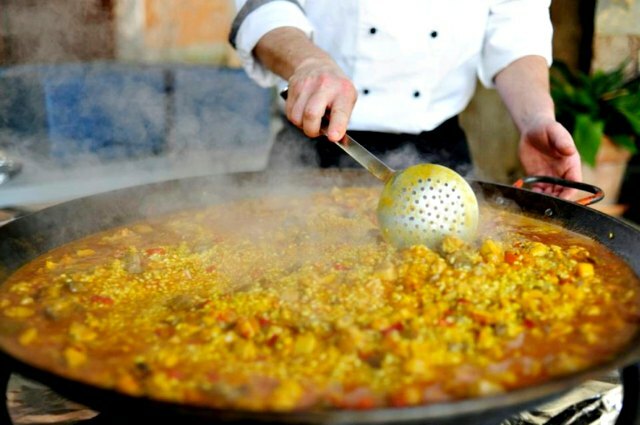 The secrets of paella: The authenticity of paella is gauged by the community it builds. What better way to enjoy your friends than to sit around the communal paella and share it together? Is that not what life is all about?